I was working for The Windsor Star in Canada across the river from Detroit, where rock ‘n’ roll was king. We’d seen Elvis in Detroit, and the Doors, Creedence Clearwater Revival and Bob Seger, not to mention Motown. No one wanted to see Elton John. But I bought his album “11-17-70,” recorded live on that date at A&R Recording Studios in New York. No strings, just Elton on piano and vocals, Dee Murray on bass and Nigel Olsson on drums. It featured “Bad Side of the Moon,” “Take Me to the Pilot,” “Honky Tonk Women” and a 20-minute version of “Burn Down the Mission” that included bits of “My Baby Left Me” and “Get Back.” It was raw. It was rock ‘n’ roll. 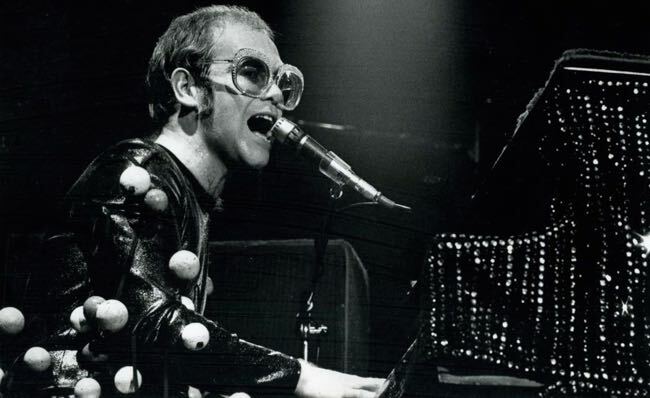 On April 16, 1971, Elton played the University of Michigan in Ann Arbor and I managed to persuade a handful of mates to join me for the show. The auditorium was packed and within minutes it was bedlam, with everybody standing as the man who sang “Your Song” blew the roof off. The few I had persuaded to go still thank me. Almost 30 years later, I was able to thank Elton John. As European Bureau Chief for The Hollywood Reporter in 1999, I was invited to a party at his home in Nice during the Cannes film festival. There were lots of stars there and Elton seemed almost shy. There was a marquee by the pool where dinner was served but guests were free to roam the grounds and the ground floor of the house. I found him inside standing alone and for some reason he looked a bit sad, perhaps at having to entertain a Cannes crowd in his elegant home. I thanked him for the invitation and told him that I’d seen his show in Ann Arbor. His face lit up. “Ah, happy days, happy days,” he said, but then he retreated within himself once more. Today, John will celebrate in typically high style with a record 60th concert at New York’s Madison Square Garden. The show will be telecast in the U.K. on ITV1 at 9 p.m. Thursday March 29 and in the U.S. on MyNetworkTV, a mini-network of Fox stations on April 5. Also, John’s back catalogue of more than 30 albums will be released by Universal for digital download via iTunes on Monday and other services April 30. This entry was posted in Memory Lane, Music, Notes and tagged '11-17-70', Ann Arbor, Elton John, The Windsor Star, University of Michigan. Bookmark the permalink. Very cool mention of Leon Russell in this interview with Elton John. Side comment, I worked for Leon for about 10 years, and purchased his home studio house. 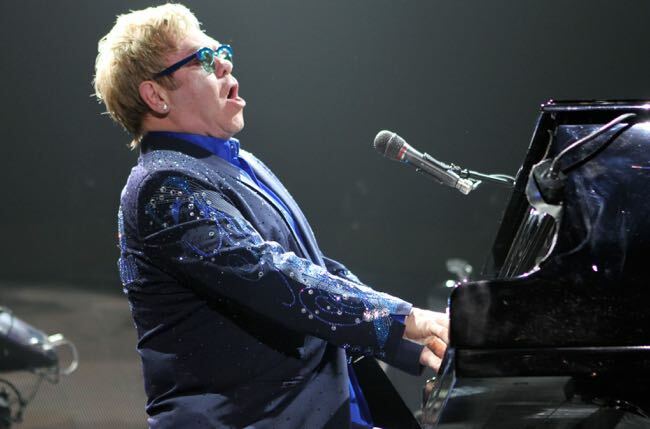 I’ve lived in it since 1972 – but I missed the Elton invite (if he did take Leon up on it!) LOL!